If you need to find your Robin/Subaru Engine product number or serial number we can help! Robin/Subaru Engines are identified by a product number (specification and code number) and a serial number. 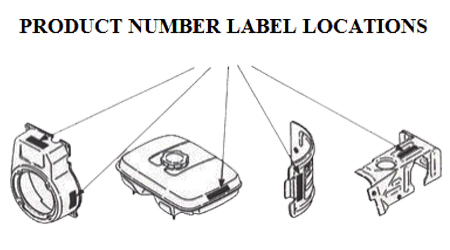 You will find the product number and serial number label in similar locations as shown in the image. The product number and serial number will be found on a bar code attached to your engine. 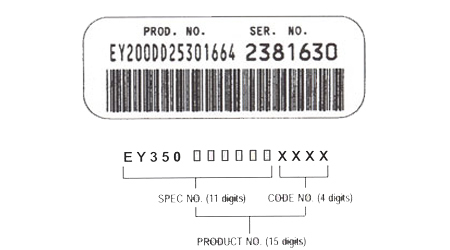 The specification number and the code number form the product number that will appear first on the bar code. Look up your Robin/Subaru engine parts.